Health Care Science Week a success! Last Week we celebrated Health Care Science Week by showcasing some of the work the scientists working at our hospital get up to. Every lunch time, there was a stand in the canteen focused on a different scientific specialism. Fellow staff and members of the public had the opportunity to see and try first hand some of the work scientists get up to in our hospital. 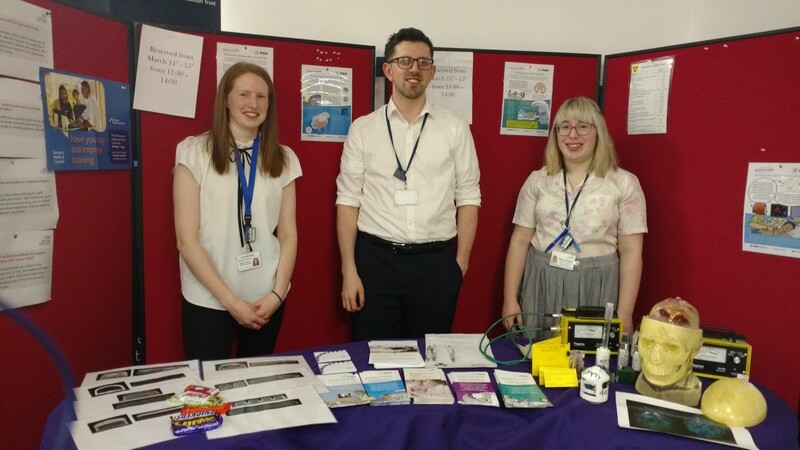 Our trainee health care scientists captivated the public by inviting passers-by to detect lesions in mammograms, match chromosomes, order blood sample test tubes or to use a mock Geiger-Muller counter (radiation detector). 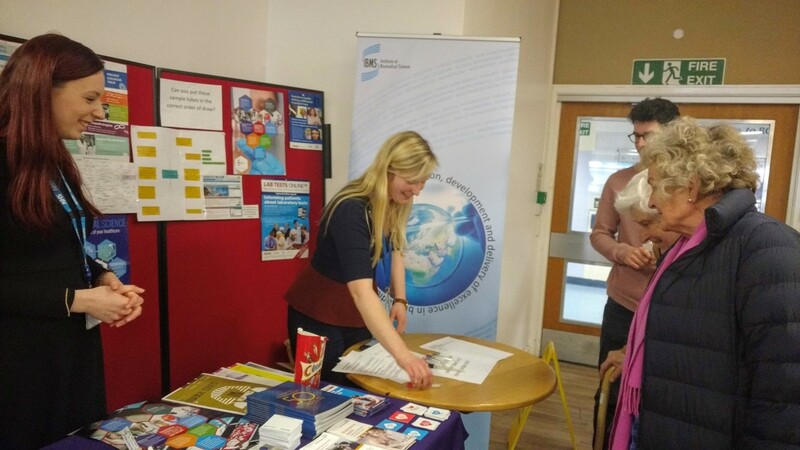 This gave the public opportunity to ask more about our work and the science career opportunities available in the NHS. During the week, 6 different science departments opened their doors and delivered a tour of their department so that other hospital staff could meet their team members and get a taste of the important work done by healthcare scientists. This was the first year the Royal Surrey County Hospital joined the national HCSW celebrations and overall it was a success, with both the public and hospital staff learning about and even being surprised by the fantastic work that goes on ‘backstage’. Fig.1- Blood Sciences stand at the canteen. Members of the public try to guess the correct order of different diagnostic tests to be applied to the same blood sample. For a chance to win a box of chocolates, the public could also place their guess on how many blood tests were processed daily by Berkshire and Surrey pathology services (7000!). Fig.2 – Bioinformatics stand at the canteen. The public used an in-house developed tool that facilitates virtual clinical trials to test their skills at detecting lesions in mammograms. They could then compare their performance to the average radiologist’s performance. Matching chromosomes was also popular and opened the conversation about the role of bioinformatics in diagnostic genetics. Fig.3- Diagnostic and Radiation Protection Medical Physics stand. 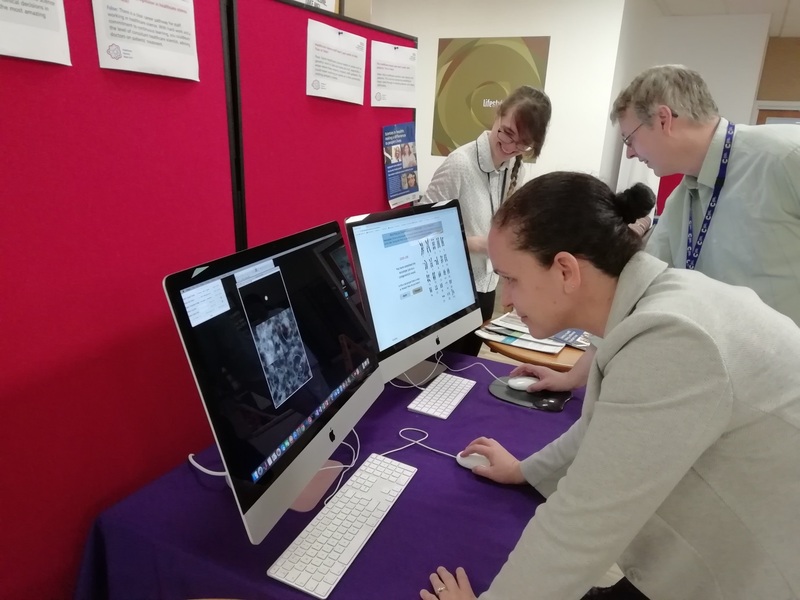 Popular display attractions were the mock Geiger-Muller counter and the “Guess which chocolate?” challenge where passers-by tried to guess the chocolate from an MRI image. 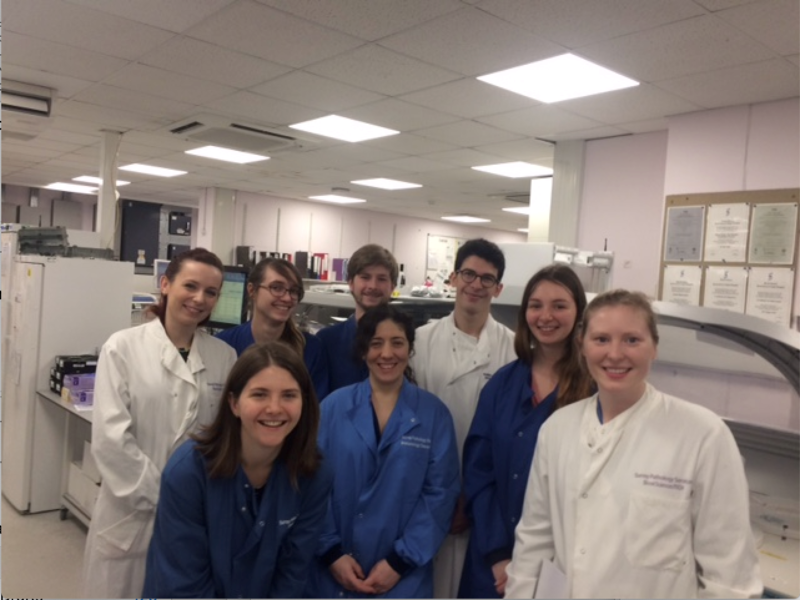 Fig.4- Tour of the Blood Sciences Lab. Hospital staff had a chance to see the intricate steps, that make up ‘the journey’ a blood sample takes from reception to analysis. Attendants were impressed by the high level of skill and technology used and the strategies in place to overcome the challenges and time constraints of the service. It’s Health Care Science Week!